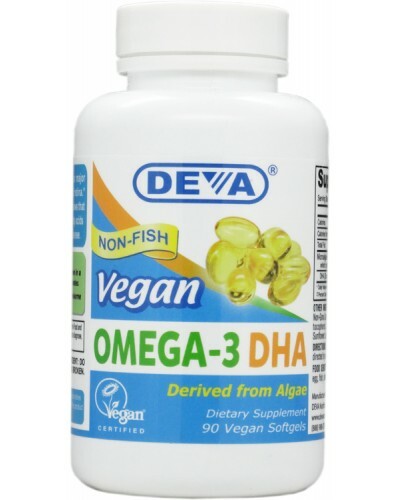 DEVA Vegan Omega-3 DHA is a quality product derived from algae and packaged in non-animal softgels made from carrageenan and starch. 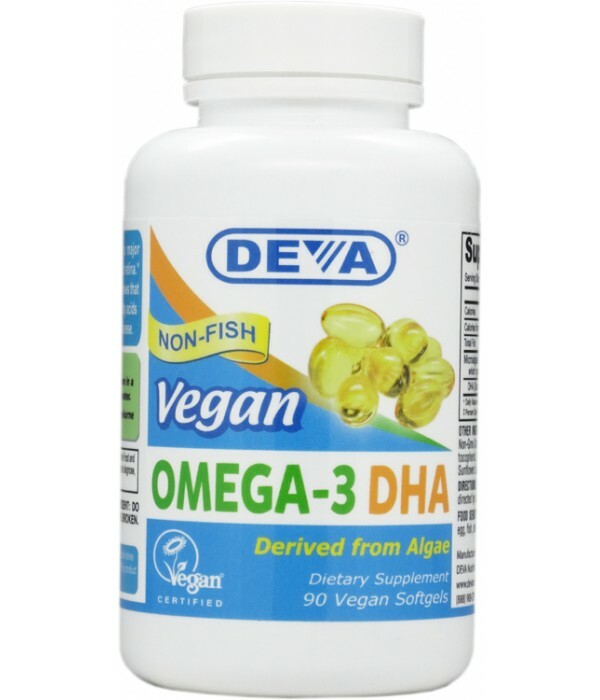 This makes a great non-animal alternative to DHA derived from fish and can be confidently used by vegetarians and vegans alike. Vegans may be particularly prone to diets low in long chain omega-3 fatty acids (i.e. DHA & EPA) unless they are careful*. DHA is a long chain polyunsaturated omega-3 oil. It is an essential fatty acid, meaning that the body doesn't produce it in significant amounts by itself and it or its precursors must be obtained in the diet. DHA is one of the prominent essential fatty acids in the brain and in the retina. For adults, take one (1) Vegan softgel daily with food, or as directed by a health care professional. Free of yeast, wheat, soy, gluten, sugar, salt, hexane, dairy, egg, fish, shellfish; animal products, byproducts or derivatives. *Walser B, Stebbins CL. “Omega-3 fatty acid supplementation enhances stroke volume and cardiac output during dynamic exercise.” Eur J Appl Physiol. 2008 Jun 18. *Sidhu KS. “Health benefits and potential risks related to consumption of fish or fish oil.” Regul Toxicol Pharmacol. 2003 Dec;38(3):336-44.